The passing of a loved one is both devastating and trying. It presents the time to mourn and celebrate the person's life, to gather with family and friends, and to organize any assets that have been left behind. A significant factor of this involves the home, where the real estate of a deceased individual gets passed on to an heir. However, in addition to the property itself, the heir also receives any leftover equity and loans that remain on the home. Whatever has not fully been paid on the property is then handed to the beneficiary. Inheriting a home that still carries debt can be overwhelming, which is why the more information known about the property, the better. It is essential for the heir to familiarize themselves with the home and what options they possess. 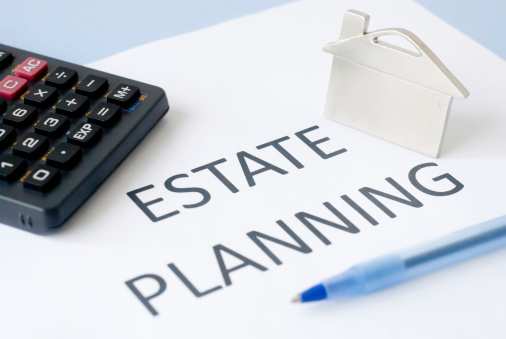 What does it mean to inherit property? To inherit property means to receive real estate from a loved one through legal means by way of a will after their death. The inheritance of real estate works when the owner puts the home under title by contract, meaning that the property is given a designated beneficiary for after the owner passes away. The property that is bestowed to the heir, however, will also carry any damages or debt that it had at the time of the original owner's death. These are all given to the heir, who becomes responsible for ongoing payments. What if the home has remaining equity? When real estate is inherited, so is the mortgage, loan and any other debt that still needs to be paid. If there is remaining equity, for instance, the lender must still be reimbursed even though the owner is no longer living. When loans are involved, they are directly transferred to the heir. In this case, the interest rate and monthly payments will remain the same. Or, if these numbers are unrealistic and unachievable for the beneficiary, they can try to qualify for a new loan to reduce the interest rate and monthly payments. In some cases, this option does not provide enough of a financial solution for the heir and, depending on the amount of equity that still needs to be paid, other courses of action might be necessary in order to avoid foreclosure. What are other possible courses of action? Acting as heir to a home is a significant responsibility, and the financial factors that get passed on with the property may seem endless. However, as illustrated above, there are other alternatives. For more information, visit AllHomesAz.com.